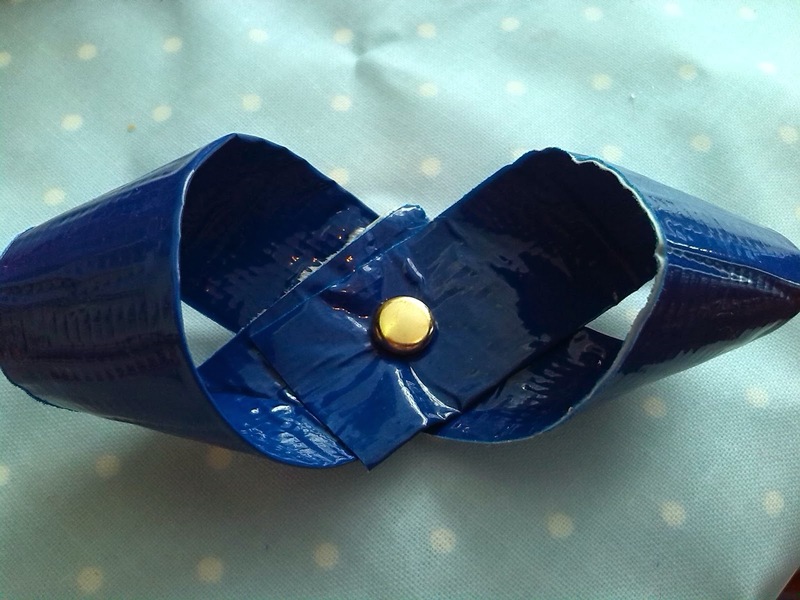 One of Tillys favourite things to play with is Duck tape - Yes i know, strange child isnt she! 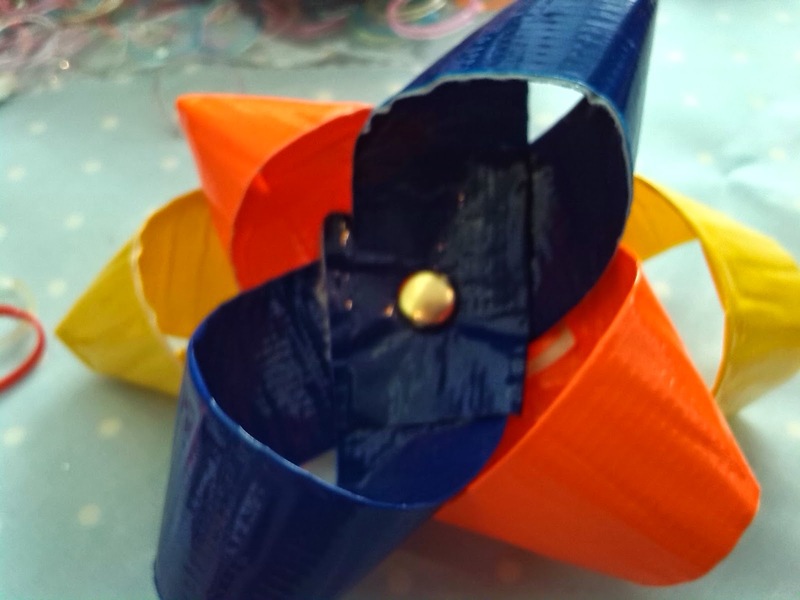 I am forever unwrapping the things she has taped up in the house and finding empty rolls everywhere, but i keep telling myself she is being creative! 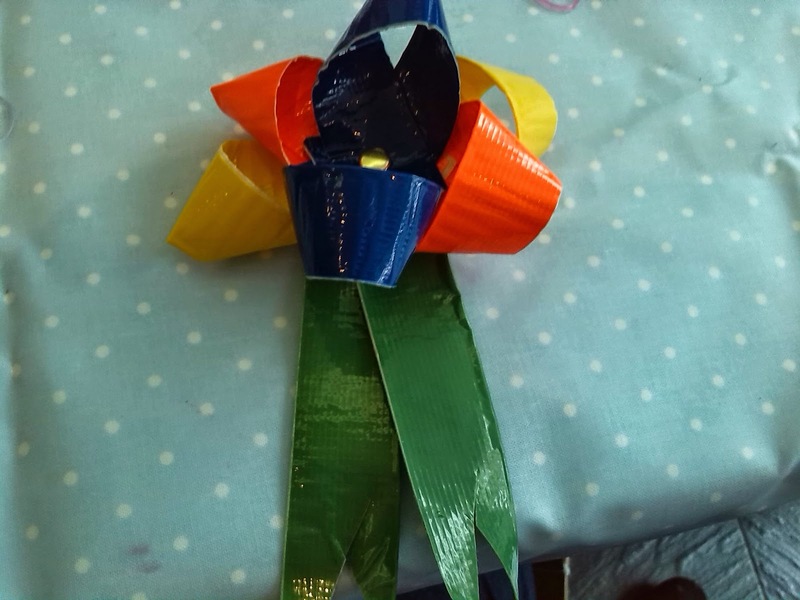 When we were offered the chance by Hobbycraft to be shown how to make Duck tape bows for alternative christmas wrap. we were keen to learn and Tilly thought all her christmases had come in one go! Cut it into strips and fold the stips in half like this and make sure they are all the same length. 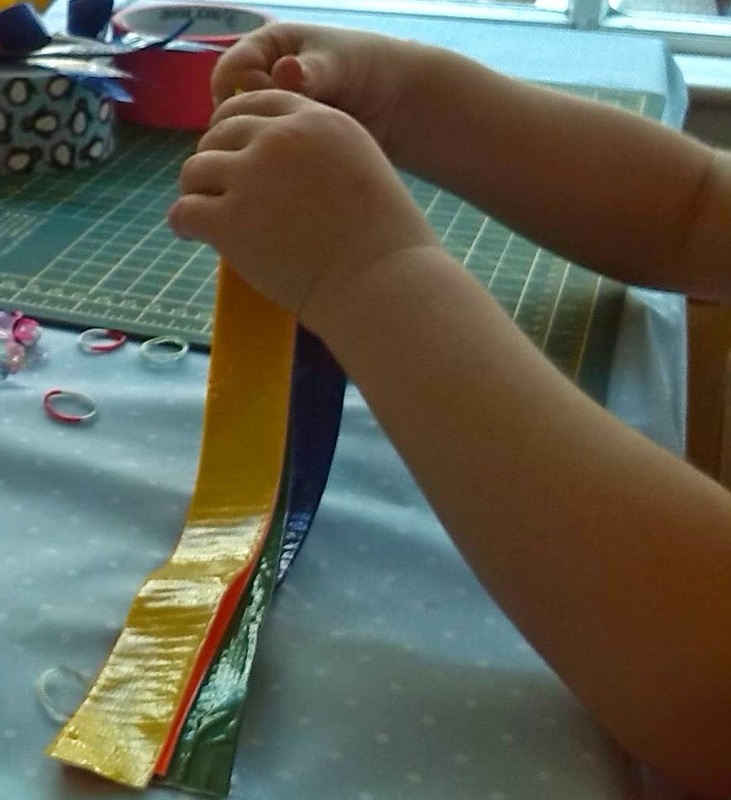 Take one of the strips and fold it into a figure of 8 shape and use some scissors to pop a hole in the centre. This will be quite tough to do because of all the Duck Tape. 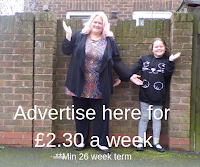 Then pop a split pin into it and it will hold it in place for you. You need to make sure that the ends are the same size so that the bow looks symmetrical when its finished. With a bit of double sided sticky tape, this is now ready to go on a gift, its unique, its original and its striking. 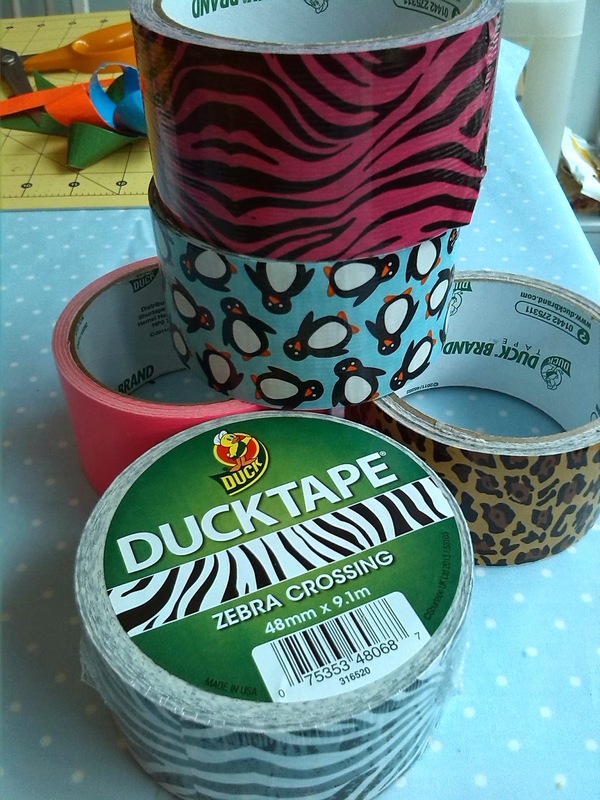 You can buy other patterned Duck Tape from Hobbycraft and let your imagination go wild.